Most of you have probably either been part of the conversation around MAP doing #GivingTuesday, or have seen posts showing up on our website and social media outlets about the event. For anyone still unfamiliar with the day, #GivingTuesday is a special call of action to create a global day of giving that brings diverse organizations and communities around the world to give back. This year it is on Tuesday, December 1st, and we will be participating for the first time. We’ve already done quite a bit of work on this; Leo has been developing some fantastic graphics. December 1st represents a unique opportunity for MAP to engage with people for all 24 hours, since we have staff and volunteers from around the world. A major feature that we will be focusing on is the launch of a new monthly giving program, called Monthly Mangrove Sustainership (more info here: http://mangroveactionproject.org/mangrove-sustainership). Monthly or recurring giving is the most sustainable way to raise funds, and we’re hoping for at least 20 people to sign up at any giving level. Overall, we have a goal of raising $10,000 in a 24-hour period. It’s ambitious, of course, but better to reach for more than not enough and not get excited about the effort. In the next two weeks, I hope that you can all encourage people to support us by either joining the monthly giving program or simply donating on the day of. We have some nice rewards for people if they want them, including shout-outs on social media and other special thank-yous. The donation page is here: https://www.flipcause.com/secure/cause_pdetails/MjU4MA== . It is almost entirely customizable and fully mobile-responsive. - Between now and Dec 1 or on #GivingTuesday itself, post an UNselfie. Basically, you take a picture of yourself with a piece of paper explaining why you give. I’ve attached a customized MAP version for people to print and use if they’d like, and a toolkit to explain it. If you’re willing to do thank-you videos (general and personalized), or want to be more involved with the efforts leading up to and on #GivingTuesday itself, let me know. I’ll be spending most of Dec 1 and 2 on this. That was a lot of info, so let me know if you have any questions or suggestions! Join our Monthly Mangrove Sustainer program on #GivingTuesday! An Giang, Vietnam- More than 100 people gathered yesterday in An Giang, Vietnam for the historic Mekong People’s Forum: “Local Mekong People’s Voices: the message to Mekong governments on Mekong dams.” Participants included community members from the Tonle Sap lake, communities along the Mekong and 3S Rivers in Cambodia, from Northern and Northeastern Thailand’s communities along the Mekong and from An Giang, Dak Lak and Ca Mau, Vietnam. Most people have already experienced direct impacts from dams on the Mekong and its tributaries. The meeting marks the first time that communities from different Mekong countries have organized themselves to create a common platform from which to raise their concern regarding the impacts of existing and planned hydropower projects on the Mekong River. At the forum, community representatives presented a statement (attached) by local people entitled “Mekong governments: Listen to the People!“ to regional governments, signed by more than 6,400 local people from the Mekong River Basin, along with supporting organizations and individuals. The statement calls for Mekong governments to urgently listen to the concerns of the people, and to respect the rights of local communities to make decisions about the future of their lives and able to continue in protecting their rivers. The common problems and concerns with Mekong dams and their impact to fisheries, ecology, hydrology and the loss of land along the Mekong, have been shared by people in Lao PDR, Thailand and Cambodia over the past two decades, while Vietnam has expressed increasing concern over the change in quantity and quality of water, the loss of sediment and intrusion of saline water to agriculture land and fishery production due to both hydropower dams and climate change. Significant impacts have been felt since the first mega dams on the upper Mekong mainstream in China started construction, and in other Mekong tributaries from the Pak Mun Dam in Thailand, Yali Fall Dam in Vietnam, and now from the first lower Mekong mainstream dam, the Xayaburi Dam being built by Lao PDR. One of the most pressing concerns held by Mekong people at this time is the impending construction of the Don Sahong Dam, which will block one of the key channels in the region for fish migration throughout the lower Mekong Basin. “We who have grown up with the river are able to see even the smallest changes. Over the last ten years we have seen the water levels drop and the fish stocks diminish. “We are worried about our future and the future of our children.” Said Mrs Huynh Thi Kim Duyen, a community representative from Ca mau province, Vietnam. Mekong local people gathered in the forum were encouraged by the unity and commitment among themselves and expressed that the local people’s movement will continue to grow bigger and stronger. The problems related to Mekong dams have not yet been recognized or resolved, therefore communities commit to work together across countries, to unify the stance and concerns of local people in countries affected by hydropower projects. The forum plans to submit the statement with around 8,000 signatures/thumbprints, in two weeks time, to all Mekong governments through the Mekong Ministers responsible for Mekong dams. Address: #57z, Str. 430, Sangkat Phsar Doeum Thkov, Khan Chamkarmon, Phnom Penh, Cambodia. PORT ANGELES, WA: 19 November 2015: Mangrove Action Project (MAP) has been awarded a $19,800 grant from the Disney Conservation Fund (DCF). The conservation grant recognizes Mangrove Action Project’s efforts to educate young people throughout the world on the vital importance of mangrove wetlands, in this instance the focus is on introducing MAP’s ‘Marvellous Mangroves’ curriculum to Suriname’s schools. In the past fourteen years, thousands of teachers and over 250,000 students in twelve countries worldwide have learned through exciting hands-on science the wonders of tropical mangrove wetlands through the Mangrove Action Project. The expansion and adaptation of MAP’s innovative education program into Suriname will include recent additions focusing on restoration, ecotourism and research. 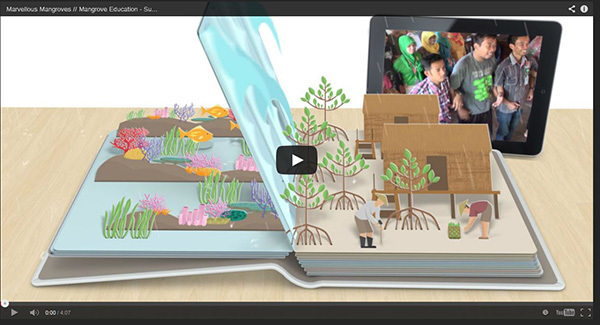 The Marvelous Mangroves Teachers' Resource Guide will become the core of community understanding of mangrove ecology. In Suriname, MAP is teaming with the Foundation for Development Through Radio & Television (SORTS) which has several years of successes behind it and concentrates its efforts on the coastal zone of Suriname. With a special focus on the county’s mangroves, SORTS has a strong track record of working with local communities in the country’s mangrove forests. SORTS has already worked with MAP on its program “Youth Action in Mangroves” and has focused much of its recent efforts on its education programs. This most recently included the opening of a special Mangrove Education Centre in Coronie, Suriname. While focusing specifically on the Mangrove Curriculum, it is essential to recognize that MAP's principals of conservation and restoration have many years of successful implementation in the communities the group serves. The Disney funding will allow the production and publication of Marvelous Mangroves in Suriname as well as enable the facilitation of several teachers’ workshops incorporating Marvelous Mangroves into the existing schools curriculum. The Disney Conservation Fund focuses on protecting wildlife and connecting kids and families with nature. Since its founding in 1995, DCF has provided more than $30 million to support conservation programs in 115 countries. Projects were selected to receive awards based upon their efforts to study wildlife, protect habitats and develop community conservation and education programs in critical ecosystems. For information on Disney’s commitment to conserve nature and a complete list of 2015 grant recipients, visit ww.disney.com/conservation. About Mangrove Action Project: Witnessing firsthand the rapid devastation of the world’s mangrove forest wetlands and their associated coastal ecosystems, the founders of the Mangrove Action Project (MAP) decided in 1992 that it was time to form a global network to address the problems of mangrove loss worldwide. MAP has grown steadily during the last 20 + years to become a respected member of the global environmental movement. 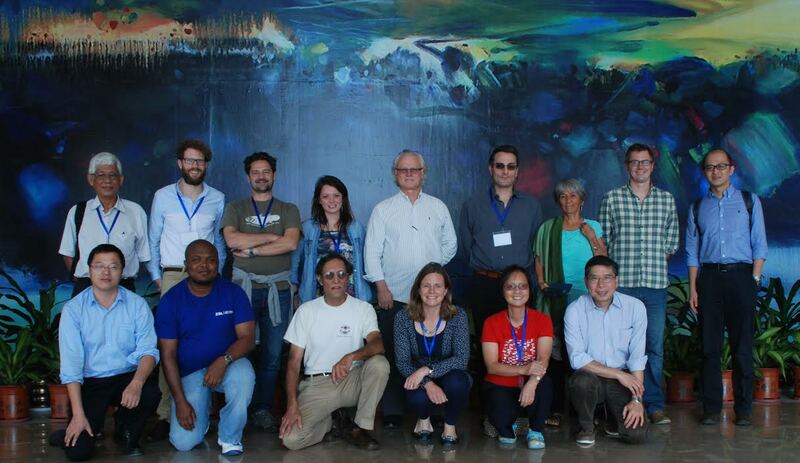 MAP's international network has grown to include over 500 NGOs and 350 scientists and academics from over 60 nations. In recent years, MAP has transformed from a network-and advocacy focused organization into one still involved in advocacy, but with programs and activities on the ground, supported through local offices in Thailand and Indonesia, as well as close partner groups in Asia, Australia, Latin America and Africa. MAP’s pro-active approach to long-term mangrove conservation involves: education, advocacy, collaboration, conservation and restoration, as well as sustainable community-based development. Editor’s Note – MAP News covered Nasako Besingi’s efforts in MAP News Issue 330, January 18th, 2014. You can read his open letter here. What is threatening Mekong Delta fisheries? Note from the Executive Director - This may not mention mangroves, but it fits in with one of our aims to restore a healthy marine environment, including healthy mangrove wetlands, which in turn support a more resilient and natural biodiversity. As we have stated in the past, a restored healthy ocean can produce much more marine life, including harvestable seafood to feed more people than aquaculture. We need to restore the health of our oceans if we are to resolve the problem of declining wild fisheries. Best of luck in the future and thanks for participating. Give thanks for mangroves on December 1!